Average used prices reached their highest level so far this year in Q3, with early signs of strong trading in October too. Latest figures from Autorola UK show the average price of used cars sold through its online remarketing portal rose £57 in Q3 to £9,211 compared with £9,154 in Q2 and over £400 higher than in Q1 2016 (£8,798). The firm said the rise was fuelled by a strong stream of quality used ex fleet stock and dealer part exchanges coming into the market. Dealers reported strong consumer demand throughout September with drivers changing cars earlier than usual as they cashed in their PCP contract early or invested their monthly mortgage savings into a new used car. This may have been a contributor to the fall Autorola witnessed in average age in Q3 to 31 months from 33 months in Q2. “Quarter three has been another strong quarter for Autorola with regard to number of bids, sales and deliveries to customers,” explained Jon Mitchell, Autorola UK’s sales director. 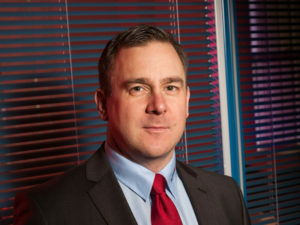 “Despite the increased sales volumes, prices have remained strong which is down to high volumes of excellent quality used stock coming onto the market supported by consumers having more disposable income to invest in a replacement used car,” he added. The early signs are that demand and prices have carried over into October with Autorola reporting a strong first few days of trading. “Consumer confidence looks set to continue which should keep used demand and prices consistent until the end of the year,” added Mitchell.